How to make a dream home? Our home is the most comfortable place in the whole world, where we can go and relax after spending the busy day out. Our homes give a feeling of warmth and friendliness and it is something of our own. Something which is the most important part of us has to be designed and decorated properly; Impala glass industries does it with their classic glass interiors, exteriors, furniture's, decors and much more. A nice example of a good home can be one which is build with concrete blocks in contrast with the sharp frameless structural glass windows with different alignments at different levels. Or another good home can be one which has the combination of concrete bricks along with glass interiors, exteriors or partitions with warmer oak features, like the bespoke staircase, internally. Everyone would dream of such houses, Impala glass can make this dream come true. Impala glass has been working with great architects to come up with great glass designs and glass interiors and exteriors. Their state of art factory manufactures great glass products including glass sliding doors, glass cubicles, glass partitions, glass architecture and complete glass materials. Glass doors and glass cubicles look fascinated, glass itself has a beauty and when used in combination with other materials like concrete or aluminum it looks even more splendid. Impala glass adds more beauty to it with its innovative designs and modern ideas. Nowadays interior courtyard is a modern concept, many homes have it. The interior courtyard is made in an outside space within the home, a place which is comfortable, quiet and an addition of internal space in the enclosed area. The interior courtyard is usually made classy with glass interiors on all or few sides. It is considered a relaxing place therefore glass is used to give it a warm and elegant look. Impala glass industries creates glass for such relaxing areas in a exotic way to suit customers specifications and needs. According to the modern architecture these interior courtyards are mainly enclosed with glassas glass allows the natural light to enter into the adjoining rooms' what brick walls cannot do glass can. The glass used can be glazed or laminated or sand blasted or with some other interior depending on the clients choice. People prefer sliding glass doors in many cases especially when the place is compact as they require less space and slide into one another when the door opens. When the sliding doors of the interior courtyard are open the interior courtyard becomes part of the inside home. This can be useful in many situations and it's an extension to the living area. 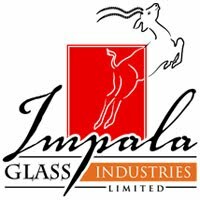 Impala glass industries provide glass to these places to beautify it. It has created impressive projects for its client with eye catching glass architecture and glass interiors and exteriors. Home is important for everyone and Impala glass industries make it a beautiful place to live in. When the brick walls are replaced with glass ones the whole look of the home changes and it looks more classy and stylish. Glass doors or cubicles inserted between concrete walls is elegant and whole architecture of exterior and interior look changes. To fulfill the dreams start with innovative thinking and get the home furnished using glass interiors and exteriors with Impala glass industries. To trust a product, we need to know about it in extreme depth. Fortunately, in these blogs we can really see that they are written by experts, by looking at the sheer volume of technical data that they provide. Making the information simple and easy to understand for a layman, adds to the overall value of this blog. Vision AGI are my personal favourites.